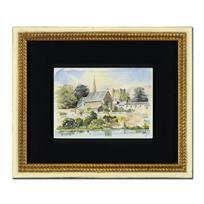 Martin Goode (1932-2002), "Berkhamsted" Framed Original Watercolor Painting, Hand Signed with Certificate of Authenticity. 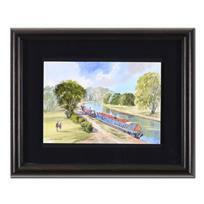 Martin Goode (1932-2002), Framed Original Watercolor Painting, Hand Signed with Certificate of Authenticity. 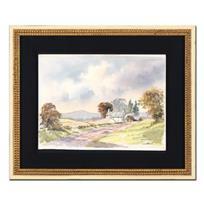 Martin Goode (1932-2002), "Kelso on the Tweed" Framed Original Watercolor Painting, Hand Signed with Certificate of Authenticity. Martin Goode (1932-2002), "The Tide Mill, Woodbridge" Framed Original Watercolor Painting, Hand Signed with Certificate of Authenticity. 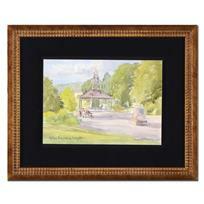 Martin Goode (1932-2002), "Matlock Park, Matlock, Derbyshire" Framed Original Watercolor Painting, Hand Signed with Certificate of Authenticity. Martin Goode (1932-2002), "Swanage, Dorset" Framed Original Watercolor Painting, Hand Signed with Certificate of Authenticity. 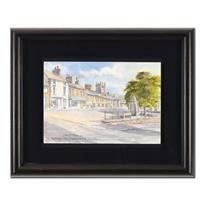 Martin Goode (1932-2002), "The Market Place, Chapel-En-Le-Frith, Derbyshire" Framed Original Watercolor Painting, Hand Signed with Certificate of Authenticity. 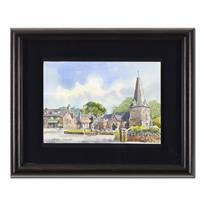 Martin Goode (1932-2002), "The Custom House, Kings Lynn" Framed Original Watercolor Painting, Hand Signed with Certificate of Authenticity. 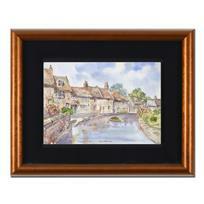 Martin Goode (1932-2002), "Porlock, Somerset" Framed Original Watercolor Painting, Hand Signed with Certificate of Authenticity. 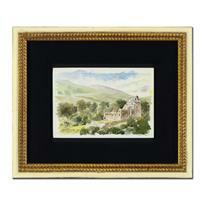 Martin Goode (1932-2002), "Castle Campbell" Framed Original Watercolor Painting, Hand Signed with Certificate of Authenticity.